You are here: Home / Uncategorized / Happy September! It’s fall, y’all! Time for cooler temps, leaves changing color, pumpkin everything, and best of all…kiddos are back in school! But before we jump into fall, I’d love to know: how was your summer? Did you do anything fun and exciting? My summer was pretty much standard summertime fair with a few camping trips and our first ever Disneyland trip with Ryan thrown in for good measure. Disneyland with a toddler is definitely not for the faint of heart, haha, but thanks to ride swapping and additional family help we all had a great time. In additional to all the summer fun, I also managed to sneak in some creative time for myself as well. At the end of August, I finished up the first ever round of the Summer Faves Project Class. 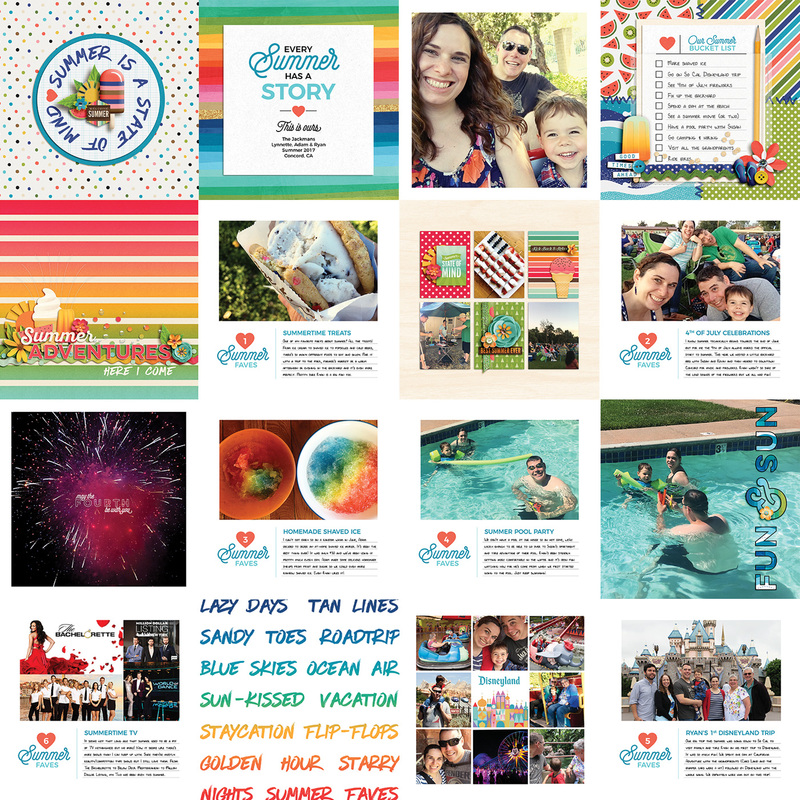 I had a small group so it was a bit quiet in our Facebook group but I loved this project and I’m so glad that I’m heading into fall with all these awesome summer memories in one place. All that’s left is to send it out for print! 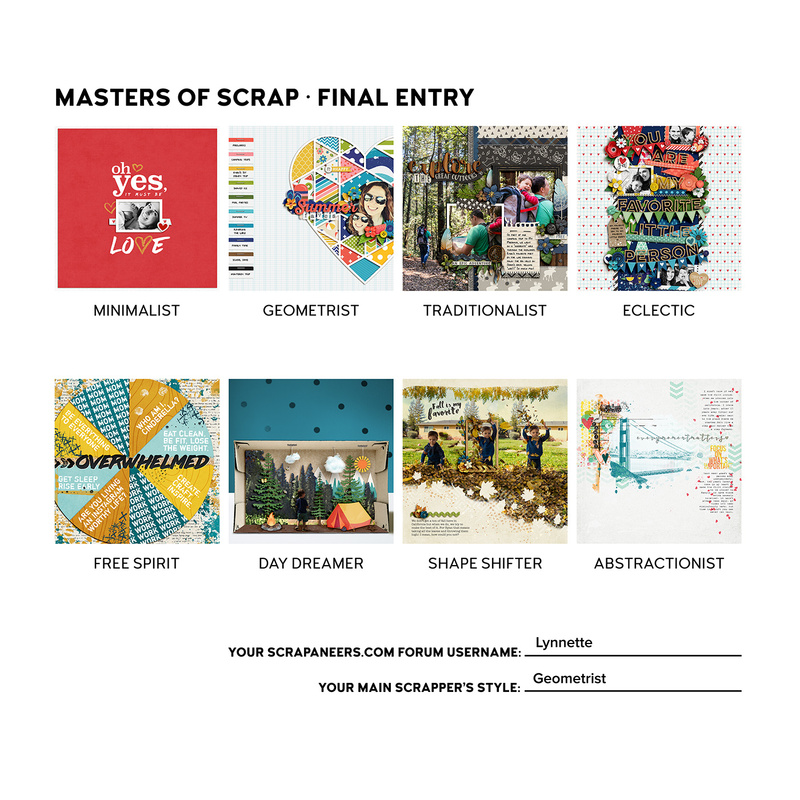 I also loved competing in the Masters of Scrap of competition over at Scrapaneers and last week I found out I came in 3rd place overall! Woohoo! The crazy part is I almost talked myself out of entering because I knew that at least 5 of the 8 styles were completely outside my comfort zone, but it was so fun to push myself to try each style in a way that still felt like me. And it was a good reminder to myself to things that feel uncomfortable because you never know what will happen. And finally, my favorite thing about September is much like the start of the year, it’s a great time to reset, start fresh and finish off the year strong. Coming into the summer, I’d been feeling like I’d lost a lot of my creative mojo but I’m happy to say that doing these projects has definitely helped bring me out of my funk and given me back a bit of creative confidence. I feel like I’m heading into fall with a renewed sense of energy and excitement and I can’t wait to try some new ideas and share them with you. If you don’t want to miss out on anything that’s to come, make sure you’re signed up for the Nettio Designs email list. Lots of the stuff never makes it to this blog so it’s the best way to hear about what’s happening. Sign up for Nettio Designs emails here. Here’s to fall and more creative adventures to come!